Recently, Donald Trump issued a typically bombastic call for supporters to go to polling stations and watch for voter fraud, strongly suggesting that the only way he would lose the presidential election would be through Election Day “cheating.” Compared to his other highly publicized campaign trail comments—about women, immigrants, Muslims, and Hillary Clinton—this sentiment appeared relatively unremarkable. Observing polling places is already a pretty common practice. Though seemingly innocuous, in many ways this suggestion is one of Trump’s most dangerous because its intent is not to preserve the sanctity of the voting process: it’s to guarantee a specific result. 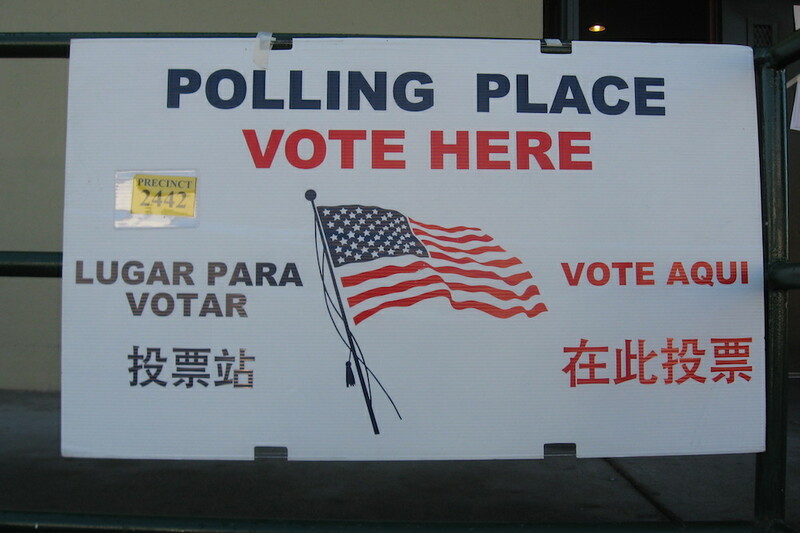 The miracle of our polling places—and the aspect which must be preserved—is that even though voting is the primary and most basic form of political action, voting precincts are neutral spaces, intended only to facilitate, not mandate, enforce, or guide, the choices voters make. What’s more, polling places aren’t neutral because of law enforcement or government presence—though the Department of Elections does structure and oversee the process. Instead, voting spaces are kept neutral by other citizens, everyday people who agree to staff precincts. There is a small stipend involved, but given the long hours, money isn’t a huge motivator. Most poll clerks and inspectors are, essentially, volunteers. Other countries—Mexico, for example—compel citizens to staff the polls through a random lottery much like jury duty. The U.S. manages to find thousands of citizens freely willing to sit for hours and facilitate the process. I signed up to staff my local precinct during the last primary after receiving an email from the San Francisco Department of Elections. I took a test to measure my English fluency and my ability to follow directions. I was interviewed by a woman who discussed my ability to work in teams (I can), my comfort handling disgruntled groups of people (high), and my ability to show up on time (unimpeachable). Next I was required to attend a three-hour class. Though there was an instructor, training largely relied on a recitation of the Poll Worker Manual, your “ultimate resource,” and 11 videos displaying the same information again, all of which lulled one man in the back into a deep slumber, his head falling farther forward with every video. “The best way to complete your mission is to follow the manual,” our instructor assured us. As I stared at the flimsy, stapled booklet in my lap, my confidence in the voting process—and my ability to uphold it—started to wane. That confidence all but disappeared when, on California’s primary election day, I found myself alone on the sidewalk at 5:50 am. Though I had only ever voted in large, solemn places—churches and school auditoriums—I was assigned to work in a garage. Recently remodeled, covered in drywall dust, and complete with a washer/dryer and a vintage Centipede arcade game, the space was hardly the bastion of democracy I had anticipated. I stood, baffled, as the garage owner, a man with hair to his waist and toe shoes, came out to open the door. Though the national conversation about voting nearly always focuses on the results, that process—that very deliberate act of collecting and counting every ballot long after the results are clear—matters equally. Still, with Buddy and Honey kicking up dust and the four of us pitching in, we managed to assemble our polling place and proclaim the polls open at 7 a.m., just as people started to appear at the door. For the next 16 hours we muddled through. The sweethearts checked people off the roster and helped an elderly man to a chair so he could sit comfortably while marking his ballot. Ashley assisted people with Buddy perched happily on her shoulder. When we thought the Insight Machine had counted a ballot twice—it hadn’t—we reported it. When a voter from L.A. wanted to vote in San Francisco, we called the Voter Assistance Hotline to try and find a way for her to cast a ballot. When we discovered the Department of Elections had not included the requisite signage, we called and it was delivered. Ashley, the sweethearts, and I were relieved to close the polls at 8 o’clock that night. We carefully counted the ballots we had received and the unmarked ballots that remained. We folded up the voting booths and printed the results from the Insight Machine, signing over the ballots to the Sheriff’s Department. Later, as accusations of irregularities began to swirl around the California Democratic primary, I started to worry. Had we unwittingly done something wrong? As I reevaluated the experience, I realized it didn’t matter that we weren’t the dignified bearers of democracy I had envisioned: the system had worked. On the day I worked, some 9 million people voted. Many were given provisional ballots, either because they had lost or never received their mail-in ballot or because they didn’t appear on the voter rolls. While some claimed those votes were ignored, the reality is that they were assiduously counted in a thorough process that took weeks to complete. Although they called the primary before every vote was accounted for, officials continued to count the ballots, ensuring that every provisional and mail-in ballot was recognized and that no one voted twice. Though the national conversation about voting nearly always focuses on the results, that process—that very deliberate act of collecting and counting every ballot long after the results are clear—matters equally. When Donald Trump and others insinuate the process is “rigged,” they aren’t really talking about the process; they’re talking about the outcome. Though it seems contradictory, running a polling place has nothing to do with the results, and everything to do with protecting a fair and open process. The “poll worker mission” is simple and very clear: to protect voter rights, serve voters with respect, and offer assistance. “On Election Day,” my manual instructed, “You will take an oath to perform your duties to the best of your ability.” In a time as politically polarized as this current election cycle, when everyone has an opinion to share, poll workers promise to put aside their political views for a single day and help people cast their ballots. That willing silence is a radical act and one that continued to startle me long after my fellow poll workers and I had wiped the drywall dust off our backpacks and awkwardly waved goodbye, wandering home to see what the day’s results would be. Sara Harrison is a freelance writer and editor. She lives in San Francisco. *Photo courtesy of Tom Prete/Flickr.